2. Work the social networks. It’s expensive to pay re­­cruiters to spend hours building profiles on social network sites. Instead, shift the responsibility to employees who already use Facebook, LinkedIn and other networks on and off the job. Encourage them to include in their profiles compelling facts and stories about the business. Teach them how to proactively make group connections and pass along the names of potential recruits to HR. 3. Blog. Recruiters can write effective blogs, and so can your top employees. They may already be part of the blogo­­sphere. Encourage them to write about the positive aspects of your company and actively use their blogs to recruit. 4. Rehire. The best high-quality hire who perfectly fits your culture may be a former employee. Ex-staffers may re­­gret leaving, yet hesitate to approach you about returning. A phone call from a former colleague can reassure potential “boomerang” employees that they would be welcomed back. FREE Access to TheHRSpecialist.com for 30 days … start now! 5. Hold a video contest. Videos are powerful tools for showing recruits the passion at your firm. Rather than paying vendors to develop these videos, hold a contest for employees to create short, compelling videos about why your organization is a great place to work. Post the best ones on your corporate website and on YouTube. 6. Ask for referrals. 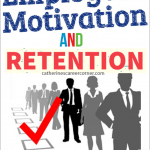 Employee referrals shift much of the recruiting work away from recruiters and onto your em­­ployees. Referrals produce high volume and high quality. Ask employees to make initial contact with candidates. Con­­sider asking customers, strategic partners, vendors, consultants, suppliers and retirees for referrals as well. Tip: If referral bonuses aren’t in your budget, toss the names of employees who refer new hires into a drawing and award an extra vacation day, lunch with the CEO or another compelling, noncash prize. 7. Throw a name-gathering party. Gather staff for ice cream or pizza and ask them to bring their smartphones or whatever device contains their contact lists. At the party, talk about the kinds of employees your organization is looking for. Then invite everyone to scour their contacts for suitable candidates—and share those names with you. 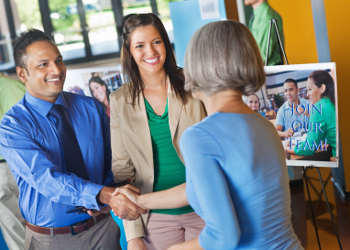 Your recruiters can target those potential employees to fill job openings. 8. Keep in touch with references. People who served as references for previous top hires will often help out again in your search for new candidates—if you ask them. Identify recent hires who turned out to be exceptional. Then call back their references. Thank them for the reference, and ask who else they know who might be interested. Because these people have given good references in the past, it is likely their other recommendations will also be of high quality. Get FREE Access to TheHRSpecialist.com for 30 days … start now! 9. Talk to the media. Encourage managers and top employees to make themselves available to the press. The coverage can help attract job candidates. Also, suggest that they write articles for professional publications to highlight the firm’s best practices and technology. 10. Recruit at company events. Consider every company-sponsored business, PR, product and sales event a recruiting opportunity where you might be able to identify potential candidates. 11. Ask about mentors. Mentoring relationships can be strong. Capitalize on that by asking your employees if they mentor (or are mentored by) someone at another firm. If so, ask them to help you recruit mentors or mentees who might be good hires for your organization. John Sullivan is a professor of management at San Francisco State University who specializes in HR strategy and designing world-class HR systems and tools for Fortune 200 firms. The former chief talent officer for Agilent, he is the author of 1,000 Ways to Recruit Top Talent. Contact him at johns@drjohnsullivan.com, or through his website,www.DrJohnSullivan.com.